Our NY personal injury law firm is proud to announce that our partners Ben Rubinowitz and Richard Steigman obtained a $7.75 million settlement in a snowmobile accident in Saranac Lake, NY. The plaintiffs, Thomas Taylor (63) and Linda Taylor (57) were guests at The Point at Saranac Lake, a luxury 5-star hotel in Franklin County. The plaintiffs claimed that the hotel arranged a snowmobile tour with Adirondack Snowmobile Rental. The tour was set up by the hotel for the plaintiffs and four other guests (2 other couples) who were also staying at the hotel. All 6 of the guests were beginners – each of whom had never been on a snowmobile before.Payment was arranged through the hotel. The hotel not only arranged the tour but charged the guests 20% extra for this service. The Tour Guide, Robert Pinsdorf, an employee of Adirondack Snowmobile, started the tour approximately 10 miles from the hotel, at a campground know as Charlie’s Inn. The hotel guests were given a 10-20 minute lesson in the operation of the snowmobile; however, the guide was charged with the responsibility of leading the guests on the tour and keeping them safe throughout the tour. The plaintiffs claimed that they were unfamiliar with the trails, road crossing and trail signs. Although the first hour of the tour went fine during the second hour, one of the snowmobiles broke down due to a faulty drive belt. The tour guide then decided to head back to Charlie’s Inn to get another belt. He left one guest in the broken snowmobile and took one guest with him on his snowmobile. He told the others to follow him. 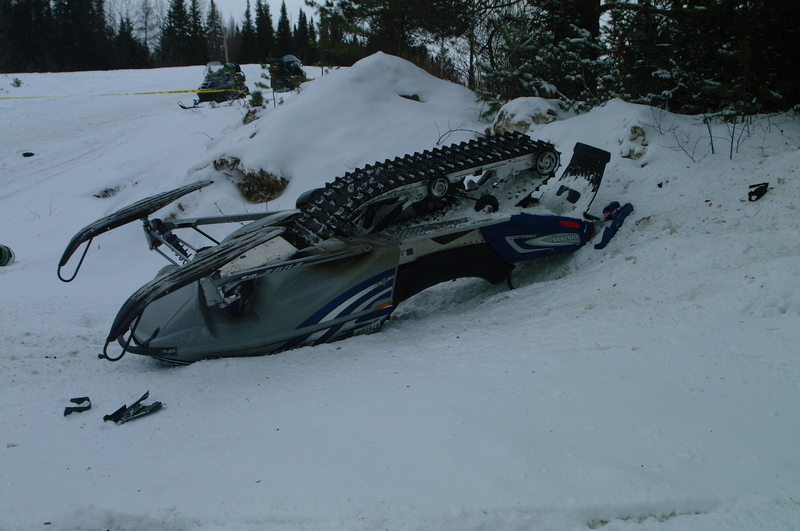 It was claimed that he was in a rush and, at this time, failed to protect the novice snowmobilers by traveling ahead of them without warning them of road crossings and stop signs and without knowing where they were. Plaintiff s decedent, Thomas Taylor, failed to stop for a stop sign. It was claimed that he was unaware that he was traveling towards a road and stop sign. It was at this point that the plaintiff s decedent crossed the road, without stopping, and was struck by a van driven by an elderly man (who was dismissed from the case on summary judgment).